TutorMe offers complimentary 24/7 online tutoring to all OWU students! TutorMe has a network of over 10,000 verified tutors ready to help with any question, no matter how big or small in over 300 subjects. Average time to connect with a tutor is 18.2 seconds. Learn using TutorMe’s state-of-the-art lesson space which includes audio/video chat, code editor, screen sharing, virtual whiteboard, text editor and more. You can find TutorMe in OWU Blackboard on the Tools screen available from the base navigation on the left. You may also find TutorMe in any course within OWU Blackboard. Just click the ‘Tools’ or ‘Other Tools’ link in the course navigation menu, (on the left when you enter a course,) where you’ll find ‘TutorMe – Instant Online Tutoring’. From either location, when you click the link, then click the green “CONNECT WITH A TUTOR” button, you will be automatically signed into TutorMe with full access. If you can’t find the link in your course, please let us know. 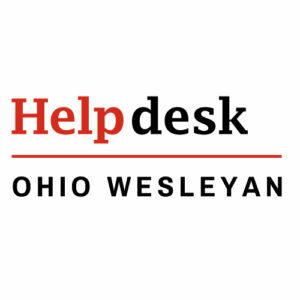 This service is provided to all OWU students at no cost. How to start a lesson with a tutor? How to favorite a tutor (click the heart ♥) to easily work with them again? How to review a previous lesson?